Cult fans of Pabst Blue Ribbon Beer might not be surprised to hear that Pabst Brewing Co. could be worth $500 million to $1 billion, according to a report that says the company may be for sale. 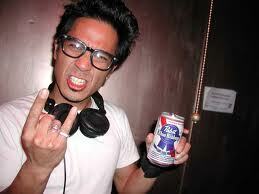 Pabst, which is based in Los Angeles, is owned by investor C. Dean Metropoulos, who bought the beer company in 2010. Metropoulos famously bought Twinkies, Cupcakes and Ding Dongs from the bankrupt Hostess Brands last year for $410 million with Apollo Global Management.